Mama Love: Babyliss Pro: Not your Mama's Hot Rollers! 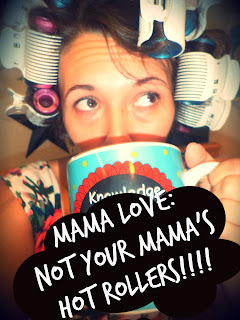 Growing up I can always remember my mother and grandmother doing their hair with Hot Rollers, now as a teenager I thought they were lame and only for "old people", yeah well it turns out that I didn't know everything like I thought I did when I was 16, and apparently my Mama Knew what she was doing when using Hot Rollers! These would be the exact same ones my mama had! I think hair technology has come a long long way from way back then and it's time to use something a little LOT better for your hair styling needs and that's where Babyliss Professional Electric Ceramic Ionic Hot Rollers from Flat Iron Experts Comes in! 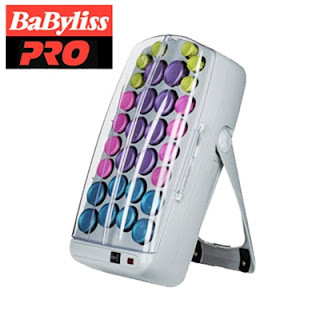 "Babyliss Professional Hot Roller with super hot ceramic infused rollers. 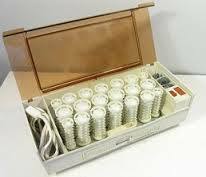 Ion generator emits millions of negative ions thorugh dual ports for healthy shiny hair and a style that will last. Ceramic generates far infrared heat for faster styling and less damge to the hair. Includes 30 spiked rollers (6 small, 8 medium, 8 large, 8 jumbo) with stay cool ends and 15 butterfly clips"
I love these they heat up quickly come with plenty of rollers in 3 different Fun colors and sizes, the rollers go in and out of your hair easily, and I absolutely love the design of the babyliss it can lay flat or you can stand it up! Then this is How My Hair Turns Out! 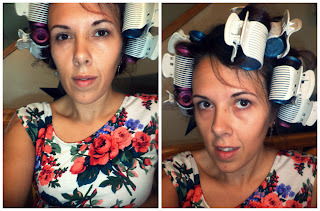 Overall Babyliss hot rollers are my go to item, they are way quick 10 mins heat up time 10-15 min leave in time, and they are a great multitasking tool "hey look I'm curling my hair while drinking coffee, while doing my makeup, while making breakfast, while packing school lunches, while ....... Well you get it you can do anything while using these makes life easier! Want your own Babyliss Pro Ceramic Hot Rollers? Go HERE! Do you Have any Hot Roller tips or questions Just leave a comment Below!